Enjoy a taste of the original. Aloe Vera Mixed Drink with juicy bits of Aloe Vera is just the one. Sappé brings to Slovakia an original and unique drink. Refreshing and delicious drink with bits of Aloe Vera will bring real advanture to your senses. Surprisingly big chunks of Aloe Vera together with the refreshing drink makes ideal combination. Perfect mix of taste and salutary effects is now hidden in practical and stylish bottle. Enjoy waves of refreshment. Salutary powers of Aloe Vera are known for more than 1000 years. The original recipe for making tasty drink with big chunks of Aloe Vera owns and carefully improves family company Sappé in Bangkok. For more than 30 years the generations of the family Ruckariyapong have been producing the products from the fresh Aloe Vera. „Refreshing drink with the chunks of salutary Aloe Vera came from my father. He always wanted people to get something more with our products. Aloe Vera Mixed Drink refreshes and boost, while its salutary effects makes good to your health. 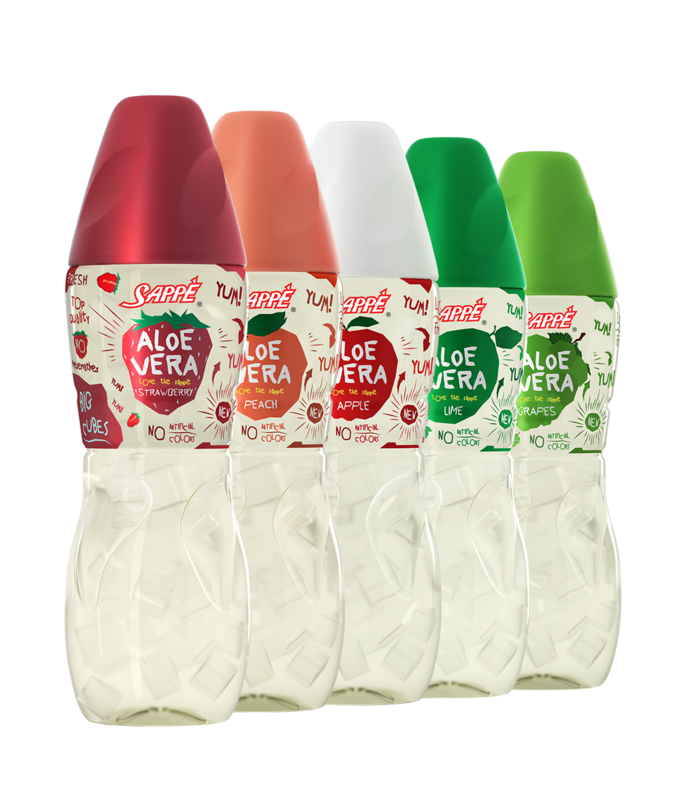 Moreover, the big chunks of Aloe Vera bring surprisingly taste and make our drink even more unique.“ says Arnup Nart Ruckariyapong, son of the company Sappé founder. It's time to drink differently, piece by piece.